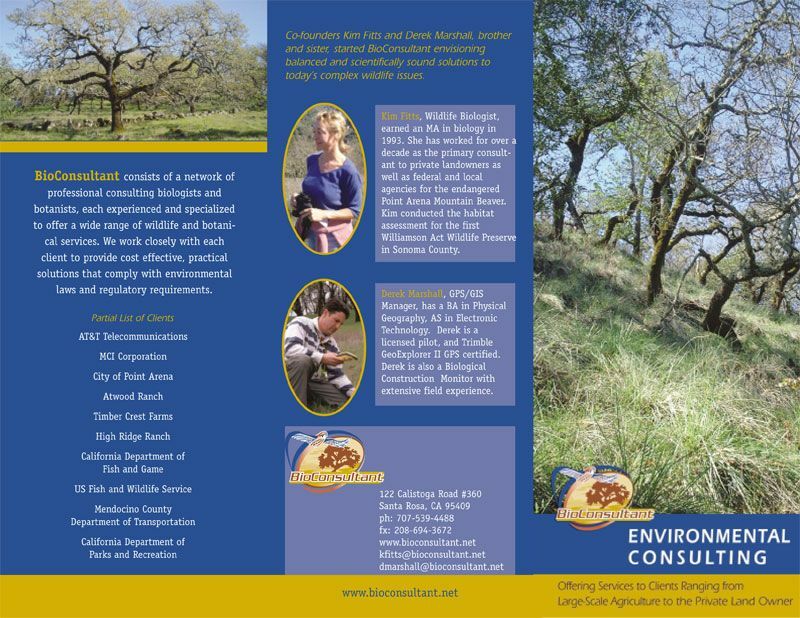 This tri-fold brochure was developed to advertise the services of BioConsultants, an environmental consulting agency. 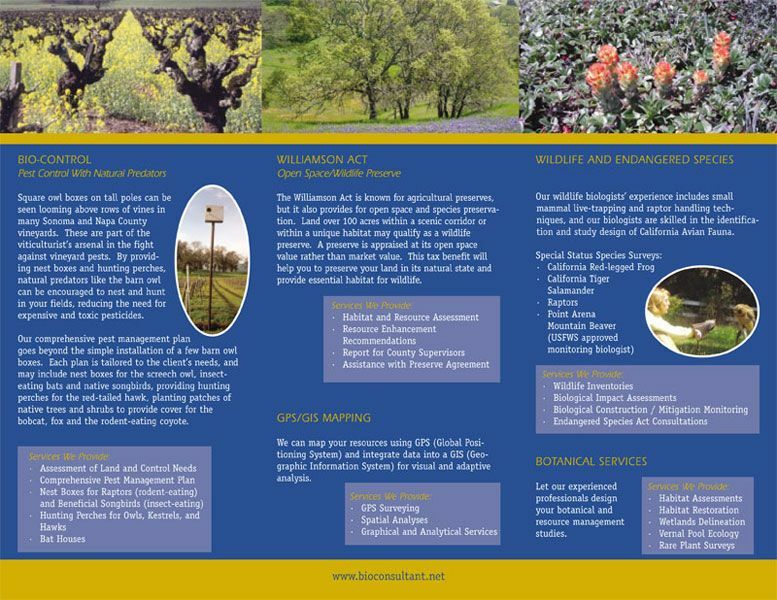 The brochure builds from the color scheme in the logo with the use of blue and golf, and the use of ovals throughout the piece. 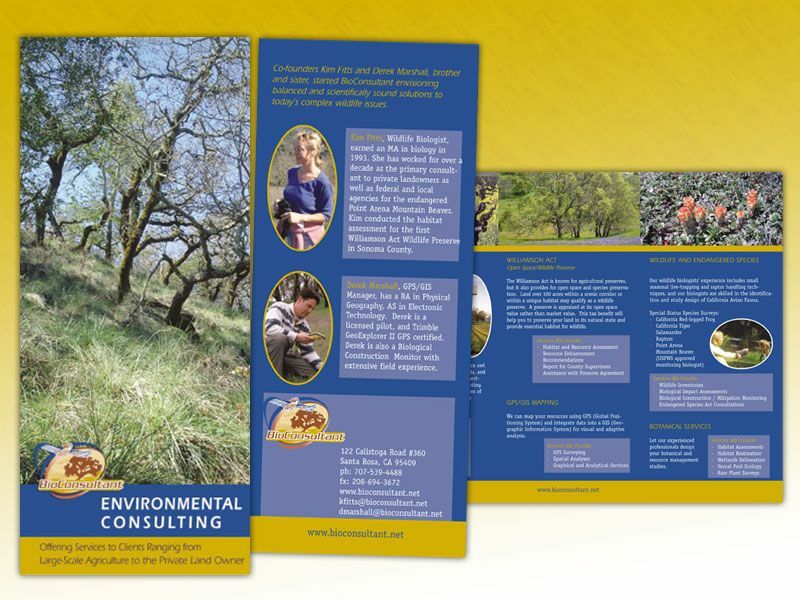 Images and text are blended evenly for a visual yet informative sales brochure.